Frozen Ever After Attraction in Norway at Epcot, opened June 21, 2016. 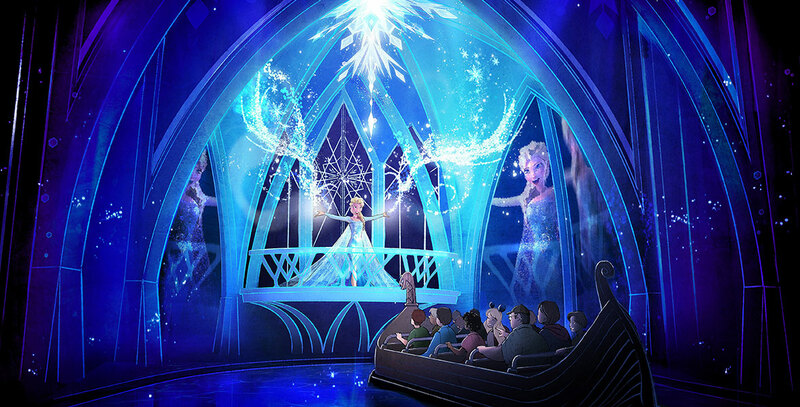 Guests take a boat tour through the kingdom of Arendelle on a “Summer Snow Day,” traveling up to the icy blue world of the North Mountain where Queen Elsa’s enchanting ice palace awaits. It replaced Maelstrom.